The Church’s Chicken menu, nutrition info and the Church’s Chicken secret menu are not unlike those of its rivals. Similary to chick fil a menu prices in that you can get a meal for a decent price. Fried chicken is one of the most popular fast foods in this country and one that has led the way in the industry since the 1950s. There are only so many ways you can fry a piece of chicken and only so many sides you can serve with it. But there are differences that help these brands to stand out; secret recipes that set one brand apart from the next. Church’s Chicken has its own band of dedicated customers. It has its own followers. And that’s because Church’s Chicken has its own way of doing things, a way that was first established by its intrepid founder over 60 years ago. Church’s Chicken is one of the biggest chicken chains in the world. It is one that has mirrored KFC for many years, and one that has been ranked as the second-biggest chain in the world for much of that time. These days, Church’s Chicken is the fourth largest, with its 1,600+ chains serving southern fried chicken to millions of customers in the United States and in 30 other countries around the world. The first Church’s Chicken location opened in April of 1952. George W. Church was the man behind the brand. The 65 year old was one of the first to contemplate selling quick-service fried chicken. He opened what was little more than a stand across from the Alamo, and he focused on selling a simple but high quality product with low overheads and high profit margins. Church also thought to place the cookers next to a window, giving customers a chance to see their food being prepared and cooked. This is something that is very common in modern kitchens and fast food chains, but something that was a novelty back then. All of the chicken was ordered to go, with no space for any customers to sit-in and eat. To begin with, chicken was the only thing on the menu, but he introduced several side dishes a few years later. The chain grew steadily during the 50s and 60s, gradually becoming a force to be reckoned with in the fast food industry. This gradual progress was given a jump-start in the 1980s and 1990s, decades that brought about big changes for the brand. At Church’s Chicken you can enjoy a selection of sauces and gravies with your chicken. In 1989, Church’s Chicken merged with Popeyes, another popular chicken chain. Together these two became the second biggest fried chicken chain in the world, behind the mighty KFC. They were both owned by AFC Enterprises, along with Cinnabon, and while the brands were separate, they consolidated much of their operations behind the scenes. This changed in 2004 when Church’s Chicken was sold off to Middle-Eastern based Arcapita, which used to the “First Islamic Investment Bank”. Under this new operation, Church’s Chicken changed considerably. They stopped selling pork, which is not eaten in many Middle-Eastern countries (and is illegal in most). They also switched all Coca-Cola products to Pepsi. Coca-Cola was boycotted for many decades in the Middle-East and while the boycott ended in the 1990s, the effects of it lingered and many places refuse to stock Coca-Cola. In the past, some Church’s Chicken locations have been co-branded with White Castle, while others have appeared under different names. In 2009, Church’s Chicken was sold again, this time to an SF-based investment firm. Now that it is no longer associated with Popeyes, Church’s Chicken has slipped down the rankings and is currently the fourth-largest chicken chain in the world, behind Chick-Fil-A, KFC and Popeyes. The more you buy, the less you pay per piece. So, go big! The Church’s Chicken menu has changed a lot over the years. It began selling just chicken, and even after a few years it had only expanded to include a few other items. In many ways, this early menu was not too dissimilar to the current Raising Cane’s menu. The product was also very similar, but unlike Raising Cane’s, who seem happy to keep things the way they are, Church’s Chicken was keen to expand this menu. Fried chicken is still the main focus of the Church’s Chicken menu. You can order it with all kinds of spices and in all kinds of styles, from super-hot Chicken Tenders, to mild Original Drumsticks. If you don’t want to eat these by themselves, you can order them in a bun or between toasted pieces of bread. Think of the many chicken burgers on the KFC menu and you won’t be too far off. In fact, a lot of what you can find on the Church’s Chicken menu is similar to the menus of their rivals. From sides of fries, beans and cole slaw, to a selection of desserts and many, it’s all very similar. But there is a difference in taste that separates these two chains. If it’s fried and delicious, it’s available at Church’s Chicken. The KFC secret menu is huge. In fact, it is one of the biggest we have on this site and one of the secret menus that kick-started this trend to begin with. Because Church’s Chicken has a very similar menu and has been going for just as long, you’d think that their secret menu would be just as big. But that’s not the case. Still, the Church’s Chicken secret menu does have a few extra options for you to explore. You may not be able to get the kind of beastly burgers and super-hot chicken that you can get on KFC, but there are some menu hacks that are well worth taking a peek at. And as with the Popeyes secret menu, the Church’s Chicken secret menu also includes some unique recipes that any fan of this chain will get excited about. George W. Church wanted to serve chicken that everyone could afford, but chicken that could still generate a profit. He did this simply by keeping the margins down and serving simple, delicious food. Those fundamentals exist to this day and Church’s Chicken menu prices are just as cheap as Popeyes menu prices and KFC menu prices. You can get a Combo for around $6 and a family box for around $15. 10 pieces of Boneless Wings will set you back just $6.50 or so and the more you buy, the less you pay for each individual piece. If these prices are still too much for you, they also have a Value Menu. On this menu everything is available for less than $1.50, and you can order everything from Boneless Wings to Chicken Thighs and more. To see a full list of Church’s Chicken Menu Prices, read our updated guide. This checked regularly to make sure that everything is accurate and that any changes are reflected straightaway. Fried chicken is a staple in the fast food industry, and everyone has their favorite chain. Fried chicken isn’t very healthy. As a result, the Church’s Chicken menu is not diet friendly. At least not for the most part. But it’s not all bad and there are healthier options available. You can get a side of beans and peppers; you can order a cob of corn; and there are also fried pieces of okra. If you are on a diet, then you should focus more on portion sizes than “healthy options”. Trust us, in this case, it’s much easier that way. Even the menu options that aren’t fried, such as the biscuits and the Mac ‘n Cheese, are loaded with fat, salt and calories. It’s a minefield, and you’re better off just going around it rather than trying to tiptoe your way through. It is also a minefield for vegans and vegetarians, as the “meat-free” options are not as clear as you’d think. As with many chicken chains and fast food restaurants in general, there are all kinds of animals fats and contaminants lurking in side dishes that wouldn’t appear to contain meat at first glance. To learn more about what your options are as a vegetarian, be sure you check with our Church’s Chicken Nutrition Info page. Here we will discuss everything from nut-allergies to gluten-free options and more. You can also find information on calorie content, fat content and more. What better way to show your appreciation for Church’s Chicken than by dancing on its roof? In the early years, Church’s Chicken tried hard to keep up with the Colonel, who was dominating the industry at the time. In the mid 70s they had around 500 stores spread across 22 states. The brand was not quite as big or as powerful as KFC, but it was getting closer to the industry leader. 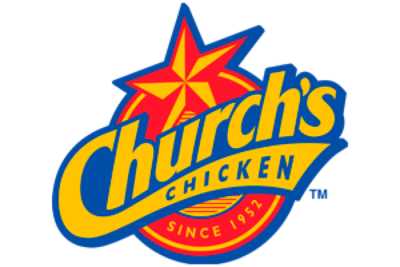 In the same decade, Church’s Chicken moved into second place, ahead of several other chicken chains. It opened its first international location and it also spread into many more states. They slipped behind a little in the 1980s, and after many changes (as mentioned above) they eventually settled as the fourth largest chicken chain. From Monday to Friday, Church’s Chicken opens at 10:00am and doesn’t close until 9:00pm. These times are reduced on Sunday, with all locations opening an hour later and closing a few hours earlier. These times may differ depending on your location and they are also reduced during certain holidays.